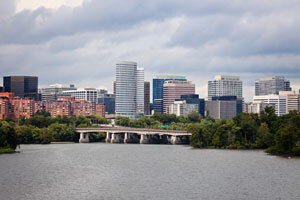 Arlington lies across the Potomac River from Washington, DC in northern Virginia. Being so close to the capital as well as having some national monuments such as the Arlington National Cemetery and the Pentagon creates an environment similar to Washington, DC in regards to targeted advertising opportunities towards tourists. Tourism lines utilize outdoor advertising such as bus and taxi advertising to target their audience. There are also effective advertising opportunities along the two major highways running through Arlington. Billboards on Interstate 66 or on Interstate 395 would reach a large amount of tourists and locals. Both of these high traffic opportunities create the perfect environment for billboards and advertising.